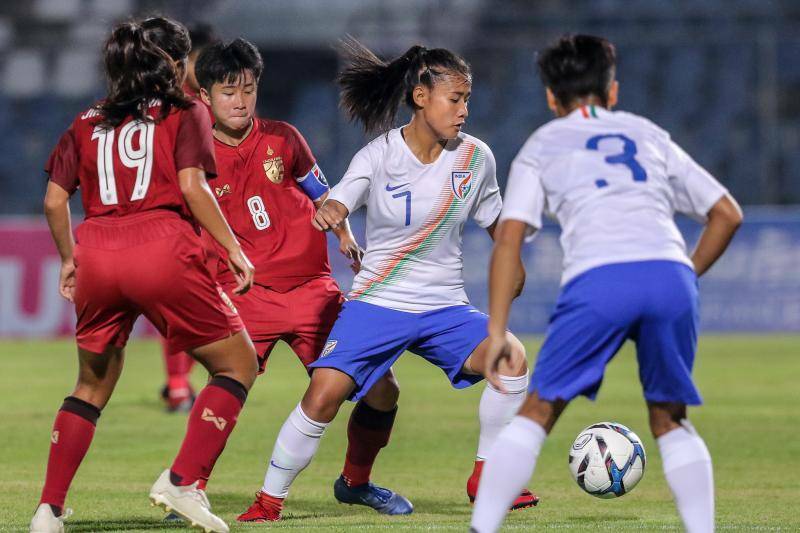 India completed an upset 1-0 win over Thailand, as a 36th-minute goal by Grace Lalrampari gave them a momentous win that put them on level points with both Thailand and Nepal in their AFC U-19 Women’s Championship Qualifiers. India suffered a setback on the 12th minute itself, when Pakpi went down after a coming together of legs and stayed down. She eventually had to be stretchered off and was replaced by Sanathokpi Devi in the right fullback position. India’s swift closing down meant that Thailand was restricted to dead ball situations and long shots. However, that did not prevent them from testing India keeper Archana, who first fumbled a Kalasin free kick before it was cleared by Jabamani. Minutes later, she was tested again by 40-yard scorcher from the same player, but Archana managed to palm it away. India’s dream moment came in the 36th minute when Manisha powered her way down the left flank and crossed sent in an inch-perfect cross for Grace to tap it in. As things stood at this point, India would go through, by virtue of goal difference. The match continued much in the same vein in the second half, as India closed down the gaps, not allowing Thailand much space in the attacking third. Their first real chance in the second half came in the 69th minute when Chatchawan made a wonderful run to run on to a through ball and sent in a low cross. However, Ratchaphan’s shot went well over the bar.